This is gorgeous! I agree it's tough to remove. Ooh it looks like Color Club Magic Attraction! 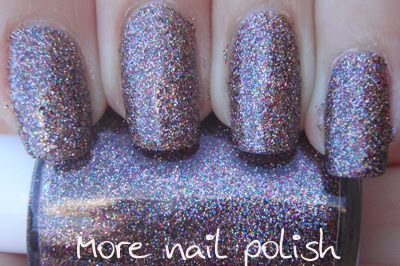 I am not a fan of glitters BUT this looks awesome! I agree with Cheryl, it reminds me of Magic Attraction. 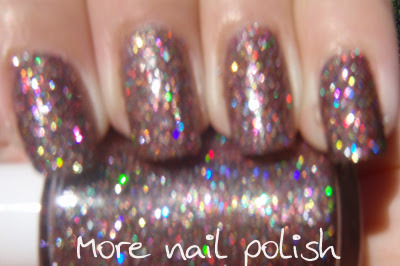 It is one of the few glitters for which I set my hatred aside to wear because I LOVE it sooooo much. Thanks ladies. 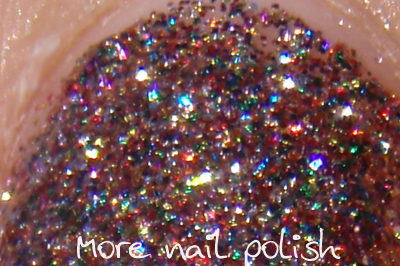 I have read about the foil method to remove polish, but I think I'm a bit impatient and dont wait long enough to before removing the foil and cotton swab. I just googled Magic Attraction to see if they are the same. 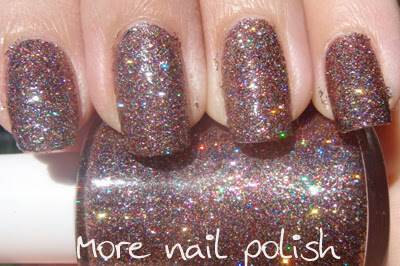 From what I have read, magic attraction is holo glitter, this one differs because its every colour glitter, and has a very brown finish, rather than silver.